Which is an example of a Top of the Range MTB Stem? 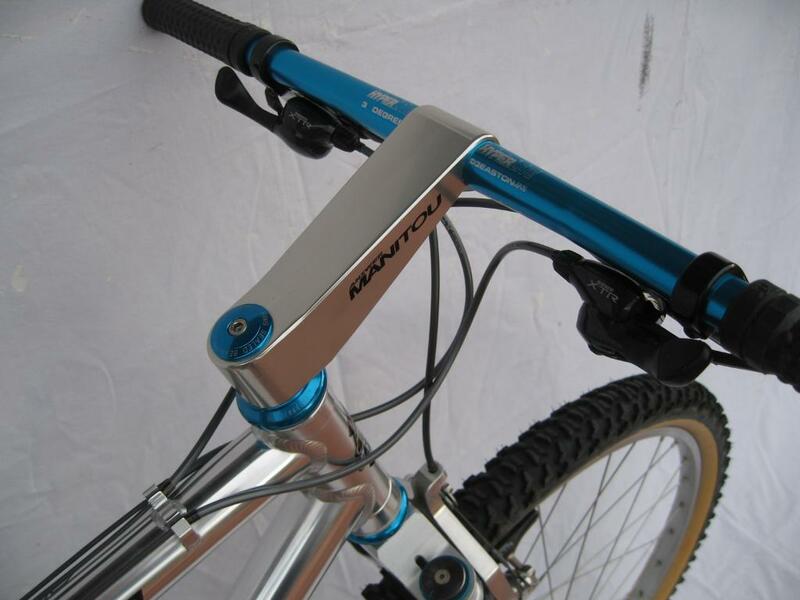 Post subject: Re: Which is an example of a Top of the Range MTB Stem? A ringle and a cook bros here. Is that a cook bros? It is absolutely stunning! Work of art!! all of the above are high end nice stems so I guess it comes down to personal preference. Syncros are always tops on my list for stems and seatposts. But the high polish and smoothed down welds of the Ibis, along with the price tag, makes it the most desirable in my eyes. Have you seen the underside? That photo looks familiar... Did you take it from DC? I suppose it's a case of getting what is paid for. you might have to pay a bit more for a polished one, I think they were quite a lot dearer new. But yeah, pure class! Gorgeous, and very expensive...BUT, in a month or two, I will have one! Now, what's difference between a MTB and Road stem? to my knowledge, the shorter ones with no rise to some rise (rather than dropped) are MTB - 1, 5, 9 and 10 ?? Are the shorter ones 120mm? ?